Good work stories, bit too much booze. Pretty interesting, the way she described the different cases was really good. She does emphasize the amount of time and energy British people spend drinking and at the pub. Could have done without that. Overall nice easy read, enlightening an interesting subject. 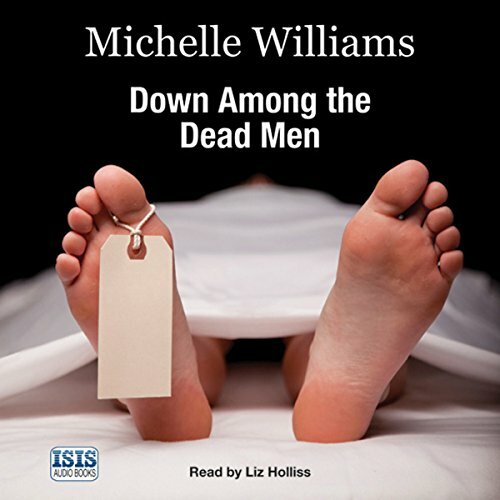 What did you love best about Down Among the Dead Men? Shelly was my favorite character, her views and insights to the other characters was great! Which character – as performed by Liz Holliss – was your favorite? It is a good read, not bloody or gory but very informative. The further into the story the more engaged I became. At first I thought the story was just ok. The more I listened the more endearing the accent and British colloquialisms became. I became more enamoured with the narrator- both author's voice and the reader's physical voice won me over. It was an easy, enjoyable, humorous, and educational listen. Very nicely and neatly told. I enjoyed getting to know Shelley and the crew. This book was informative and interesting, not gruesome in the least. I think it's important to understand what happens in the morgue to demystify it and quell the feeling of taboo. This is a sensitive account of a grim, but necessary job, told by a technician from her novice first days on the job through many years of service. 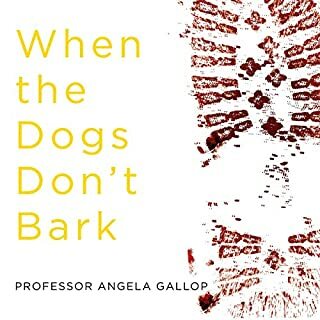 Excellent narration and pace, with great stories in a small town UK setting. Well done. Great listen. fantastic book! Been wanting to be a mortician for years and this gives me a rough idea what it'll be like. This has given me the motivation to finally take the dive and go to college! I find the author a little too patronising of her colleagues and "clients" if I'm honest. An interesting read/listen, but not well written. When focusing on the actual job this is fascinating and interesting read - 5* The author is a little odd, her ideas on relationships and the male/female role are bizarre and the way she states them as if this is everyone feels suggests a small world, a little patronising too others at times too which I hate to experience in any way which brought this down to 3*. But it is tolerable and the job is so interesting its worth reading up beware the let down of all the strange personal stuff she should have just kept to herself. This potentially interesting book is rendered lifeless by both the writing and the narration. It is badly written, the style is flat, atonal and humourless. 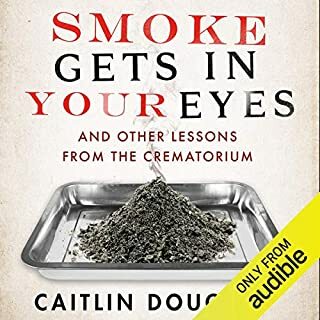 The author states that she is 30 years old when she takes the mortuary job, but the narrator sounds much older and this does not work at all. This book is also patronising in its tone. I know it's a book about working in a mortuary, but this book seriously needs some life injecting into it. Definitely not recommended. A great insight into the little-known world of the mortuary technician and all that it entails. 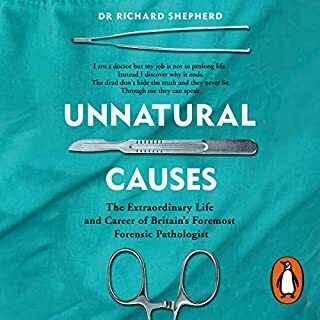 This book describes in detail the gory side of life in a mortuary, but also the human side. I enjoyed it as it was a written from a female perspective in a male-dominated world without being over sensitive. It says it like it is! Very thought-provoking and sad at times, but by no means a depressing book in my humble opinion. 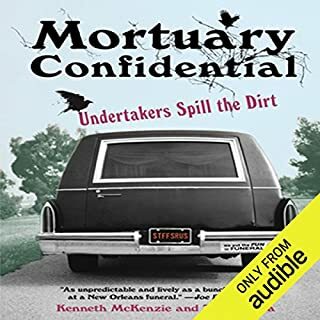 It answered the curiousity I have had about autopsies and what goes on after death. 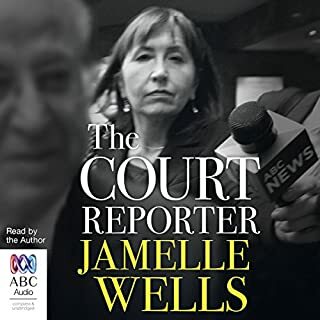 This audio was very informative and very well read by a Brit, most enjoyable, humerous and quite sad in parts but then so is life, and death! absalotly brilliant book. I loved everything about it I only wish there was more books on the market like this. Really enjoyed this book, the narrator cannot do a Welsh accent at all, but that was a minor irritation in a book I really found informative and at times amusing. 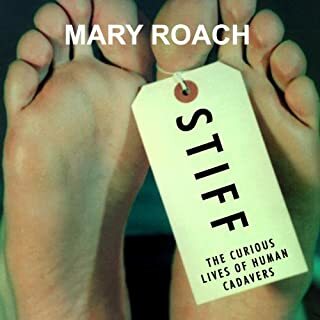 The author is very honest about her work as an approved mortuary technition. 10/10 I would recommend this to all my friends. An interesting and informative listen that I very much enjoyed. A good amount of Gallows humour, wit, heart and interesting titbits of knowledge regarding the trade. I was hooked right from the beginning... It is a real insight into a very delicate subject.